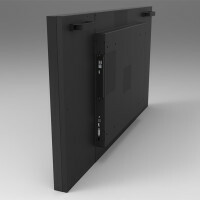 In order to simplify the installation, the integration and the signal connection for videowalls and individual LCD screens, eyevis has developed the new OPS-LCD series of intelligent display devices. With the new OPS-LCD devices all electronics for the signal processing are already integrated through the eyeProcessingUnit (EPU). Due to integrated image processing the installation becomes much easier. In addition to the power cable only a simple network cable has to be connected to the EPU display. The OPS displays are ideal if for instance several commercial and information displays in train stations or airports have to be centrally controlled and fed or if existing display networks are to be extended without laborious cabling. 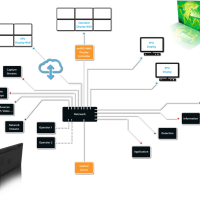 In contrast to displays with a System-On-Chip (SOC feature users are absolutely flexible in terms of management software when using OPS displays. 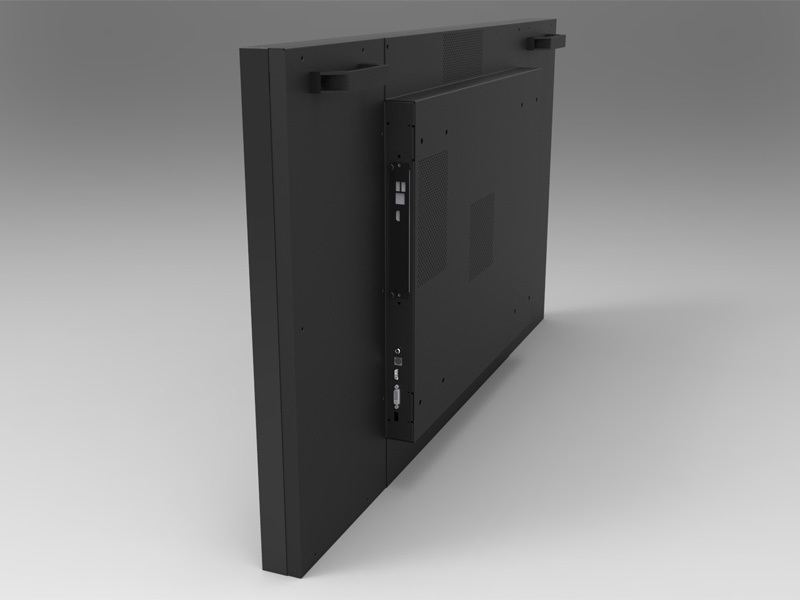 eyevis offers the OPS displays as stand-alone displays with a screen diagonal of 46″, 55″ and 65″, as well as a 55″ videowall version with slim bezel design. Directly tailored to the respective area of applications we offer the eyevis processing units in two different performance levels. With the OPS displays the assembly and operation of almost unlimited videowall and display installations is possible. 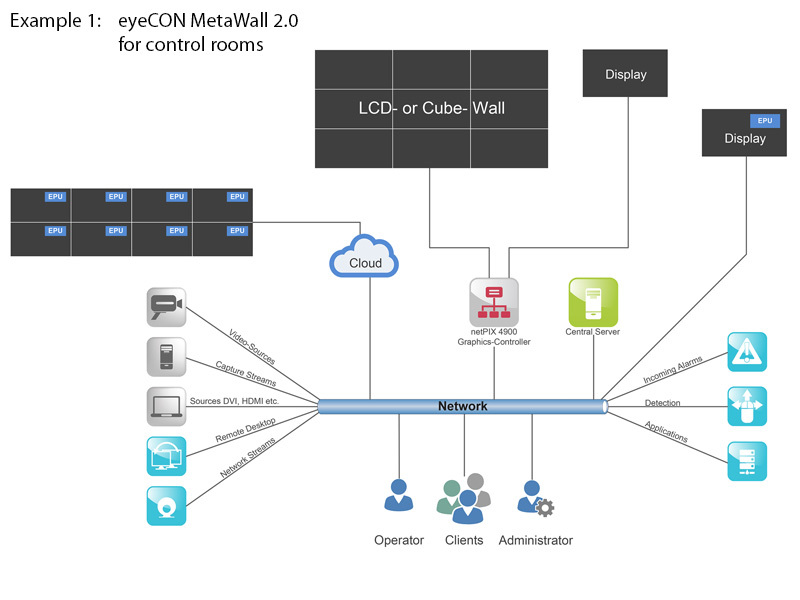 The entire system is controlled through the display and videowall management software MetaWall 2.0. 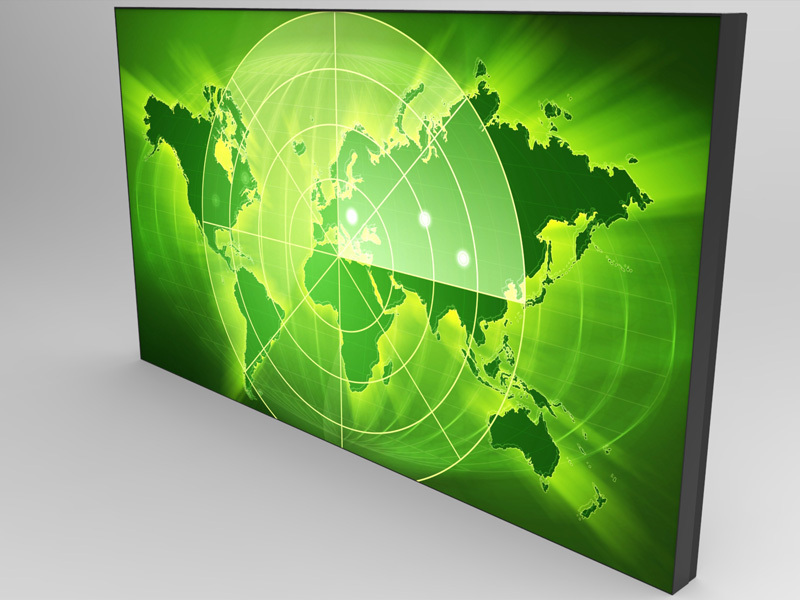 This software is a flexible system for signal transmission and management of videowalls and single displays. 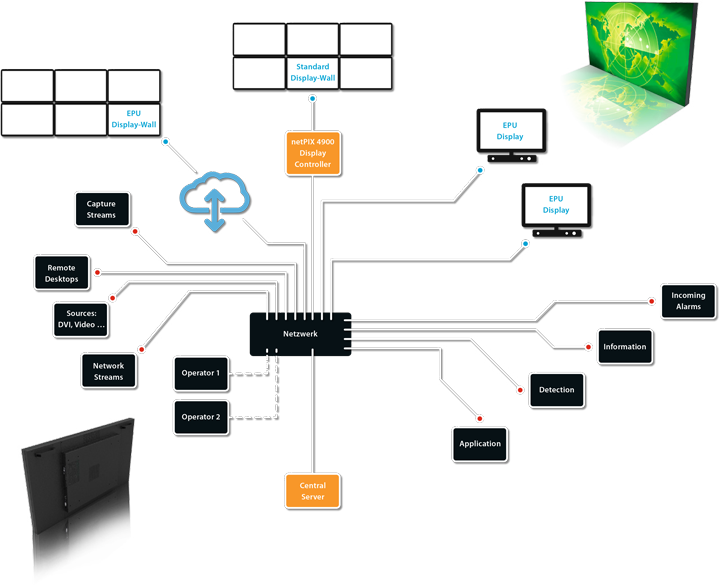 It is able to combine several videowalls and single displays beyond the limits of a single graphic controller to a single user interface. 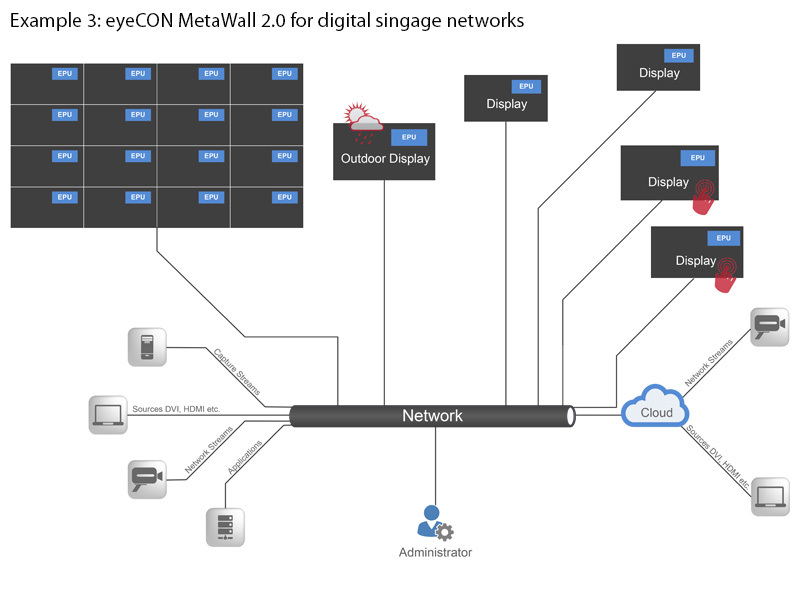 Thereby input signals are transmitted via network, internet or cloud and through the intelligent OPS displays can be retrieved from the network at any point. 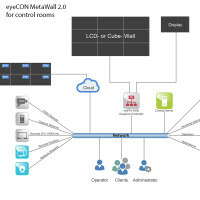 Management, scaling and assignment of all input signals is controlled through eyeCON V5.1. The software makes all sources visible on a desktop surface and in this way allows for the uncomplicated distribution of signals to the single reproducers. 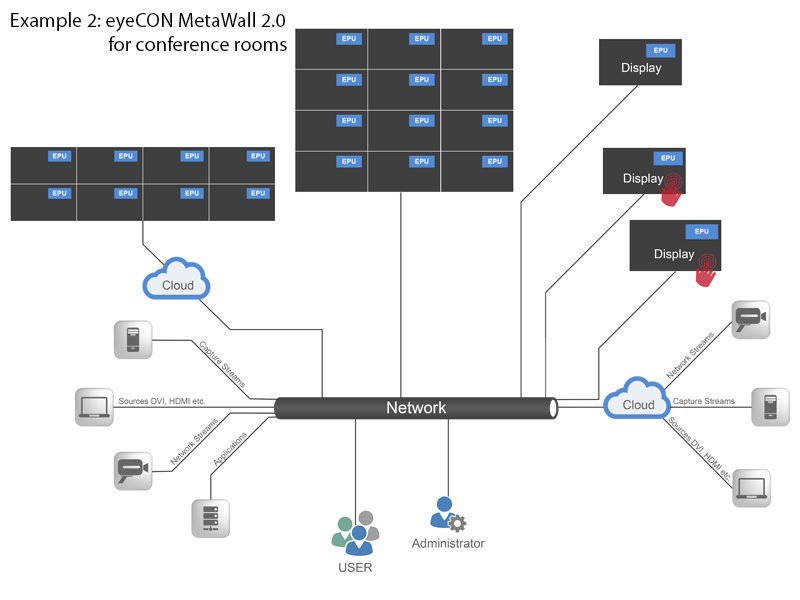 With the streaming solution eyeGATE BYOD sources can uncomplicatedly be integrated into conference rooms. 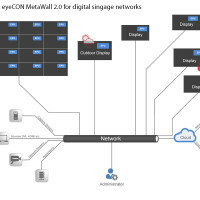 Since the OPS displays with direct control as well as videowall displays with graphic controller connection can be integrated in eyeCON MetaWall 2.0, planners, integrators and operators of display networks are provided with high flexibility. If necessary, all required components can be combined. For the operators this guarantees highest possible effectiveness, efficiency and benefit. 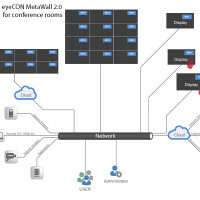 Moreover, eyeCON MetaWall 2.0 can in this way easily be integrated in existing systems. The system still stays freely expandable. 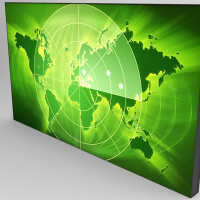 If for instance a showroom with videowall is to be extended by further rooms with single displays EPU displays only have to be installed and connected to the network. Through eyeCON V5.1 the displays can be integrated with a few clicks and can easily be managed. Bezel Width: ca. 23 mm ca. 23 mm ca. 47 mm 1.9 mm b./r., 3.4 mm t./l.